Wake Aviation, LLC is an aviation consulting and operational management company located in Denver, CO & Vancouver BC. We fill an industry wide need by providing consulting, training and operations management for energy companies and primary contracting companies in the field of Utility Aviation Operations. Wake Aviation was established by bringing highly talented and knowledgeable individuals together with unique specialized skills to expand helicopter based utility solutions to a global market. Our mission is in response to a booming and rapidly expanding global energy market that demands solid deadlines are met and efficient results be consistently demonstrated. 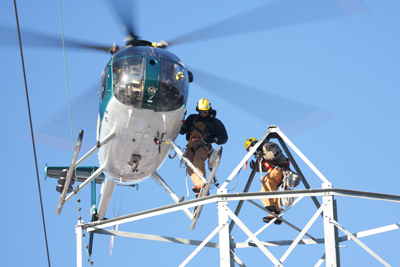 Since it’s initial founding, Wake Aviation has rapidly become the leading international authority for helicopter operations within the Power and Utilities Industry. This was accomplished through the use of best practice techniques, top tier sector experts and personnel delivering professional and timely projects results. Wake Aviation is the leader in providing General Consulting, Strategic Planning, Operations Management, Human Resources, Information Technology, Business Development, Aircraft Acquisition, Project Executions, Regulatory Competency, and Training in the Power Generation Industry. The management team and staff at Wake Aviation, as well as their trusted industry partners and affiliates, bring a wealth of knowledge to each of their customers by way of industry experience, solid education, and a strict dedication to safety. As a company, each individual brings unique, varied and invaluable industry experience giving Wake Aviation a virtually competition free edge in the market place. No other company in the world provides the rare and unsurpassed niche aviation and power line industry expertise that Wake Aviation brings. Our core values focus on services that consistently deliver high customer satisfaction by rendering excellent service, top quality customized outcomes, and outstanding customer service. All of this is accomplished while maintaining a safe, friendly and professional work environment that respects diversity, safety, forward thinking ideas, and hard work.